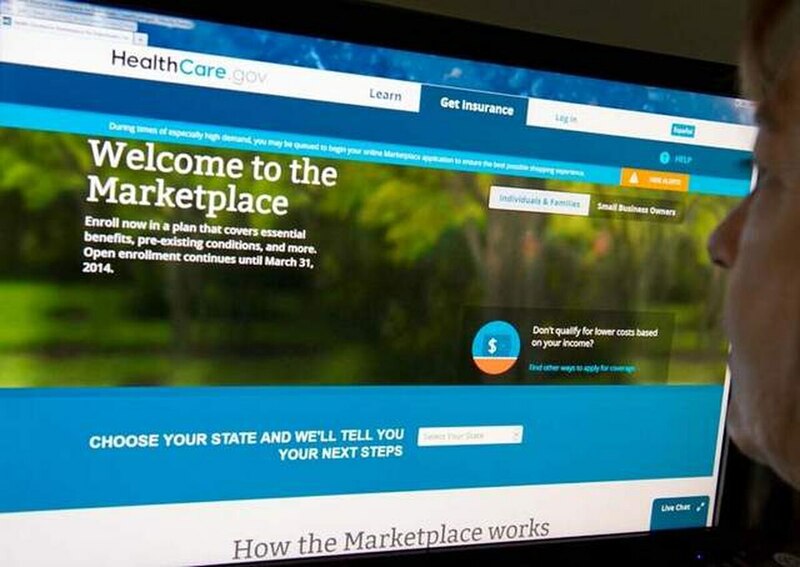 An Inspector General review of the original rollout of Healthcare.gov found the website was set up to fail from the beginning due to poor contract requirements and a lack of oversight. The IG review examined 60 related contracts, narrowing in on six central agreements, and included interviews with staff from the Centers for Medicare and Medicaid Services (CMS) and Health and Human Services (HHS). 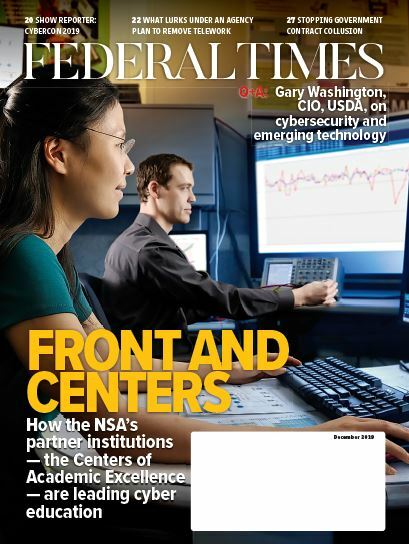 The report notes CMS spent nearly $800 million across all contracts and relied heavily on vendors to plan and build the federal marketplace. Unfortunately, the agency did not ensure those contracts met the necessary requirements and didn't take advantage of existing processes that would have identified problems earlier. "For example, CMS did not develop an overarching acquisition strategy for the federal marketplace or perform all required oversight activities," the IG found. "Moreover, for a project of this size and importance, CMS missed opportunities to leverage all available acquisition planning tools and contracting approaches to identify and mitigate risks." The structure of the procurement strategy also restricted the agency's options when it came to vendors. The IG found that only five of the 60 contracts were actually new awards. The remaining 55 were awarded as task orders under existing contracts. 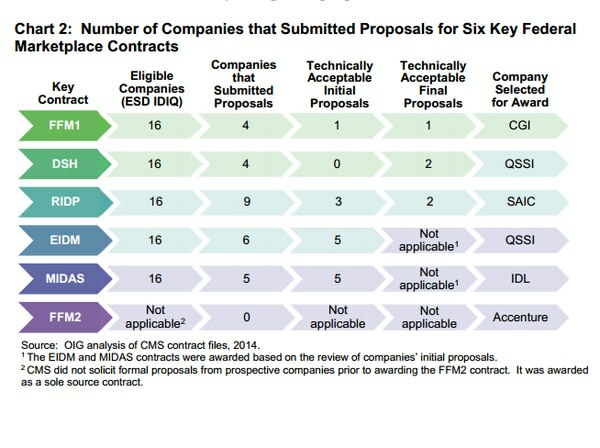 Additionally, for some 20 contracts, CMS only solicited proposals from a single vendor, drastically limiting competition. "The complexity of the federal marketplace underscored the need for CMS to select the most qualified contractors," the IG wrote. "CMS did not perform thorough reviews of contractor past performance when awarding two key contracts," the report continues. "CMS also made contracting decisions that may have limited the number of acceptable proposals for much of the key federal marketplace work." The contracts themselves also put the onus on the agency, largely absolving the contractors when problems arose and creating additional costs to remediate. HHS revise its acquisition guidance to include specific standards for conducting past performance reviews. The HHS IG plans to issue additional reports on the contract management and ultimate performance of Healthcare.gov and the federal marketplace.